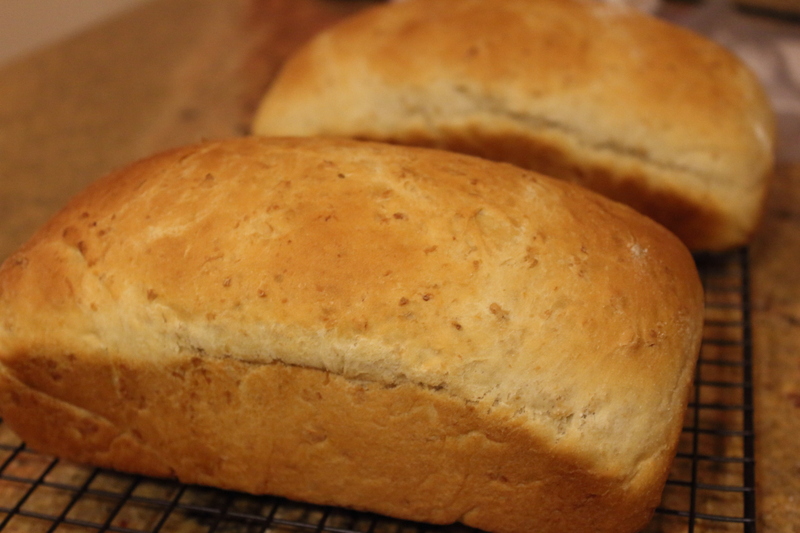 I have been searching and searching for the best sandwich bread recipe I could find. And (knock on wood) I’ve found it. This bread is from a little cookbook that my little sister’s school put together in 2005. 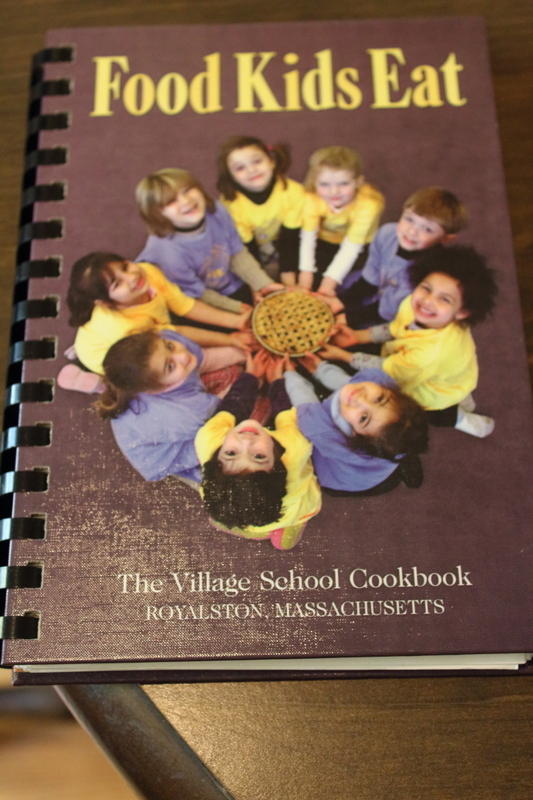 It’s called Food Kids Eat, The Village School Cookbook. It was a project that the kids, their parents and the staff of the village school put together. 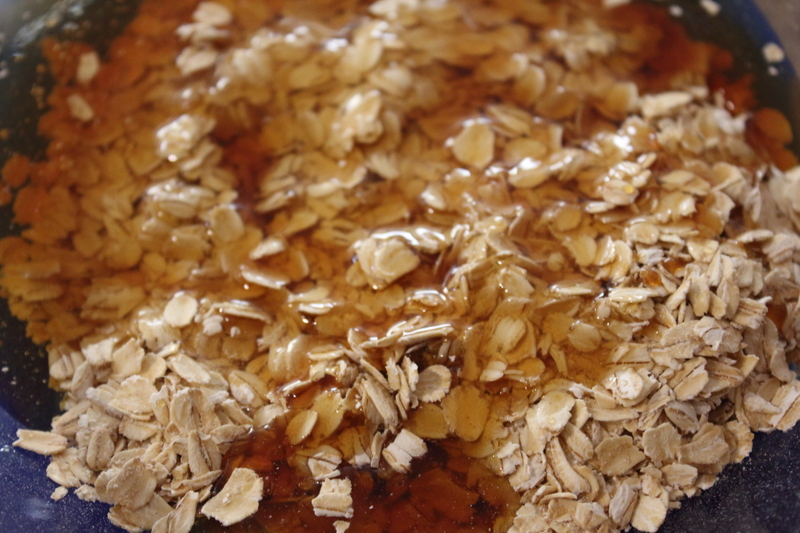 This recipe is one of many, some more familiar than others cause my mum added a few too – but oatmeal bread that said it was good for toasting seemed the very best place to start. It was submitted by Leanne Limoges, who is the mother of one of my little sister’s friends. And this lady, she doesn’t eff around when it comes to good bread. Stir to combine, and let it come to room temperature. 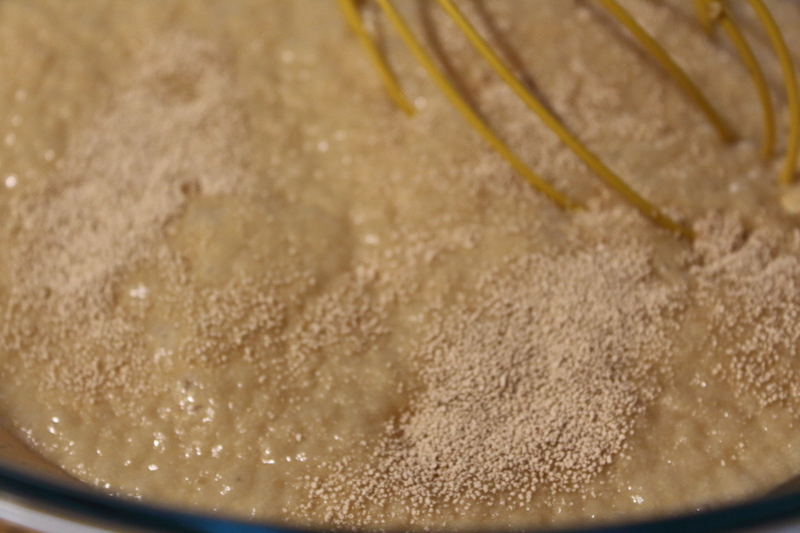 Add 1 tablespoon of yeast and let it stand for 15 minutes while yeast does it’s thing. 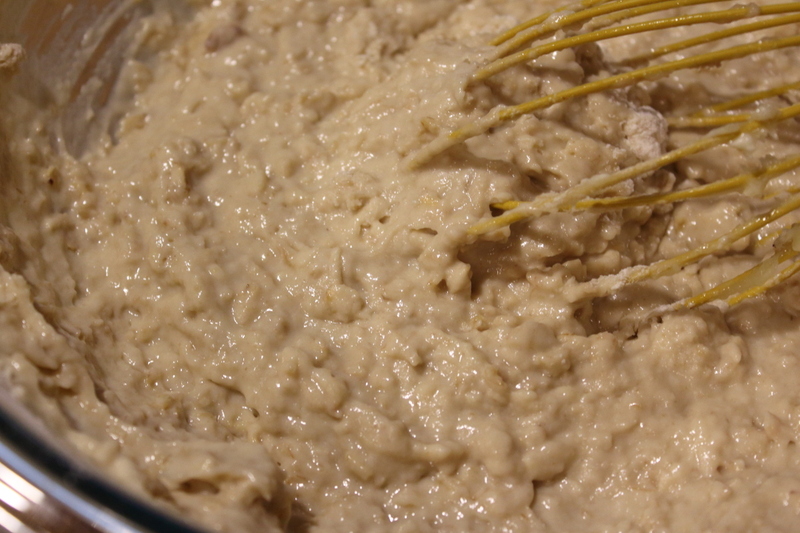 Mix by hand until the dough holds together. 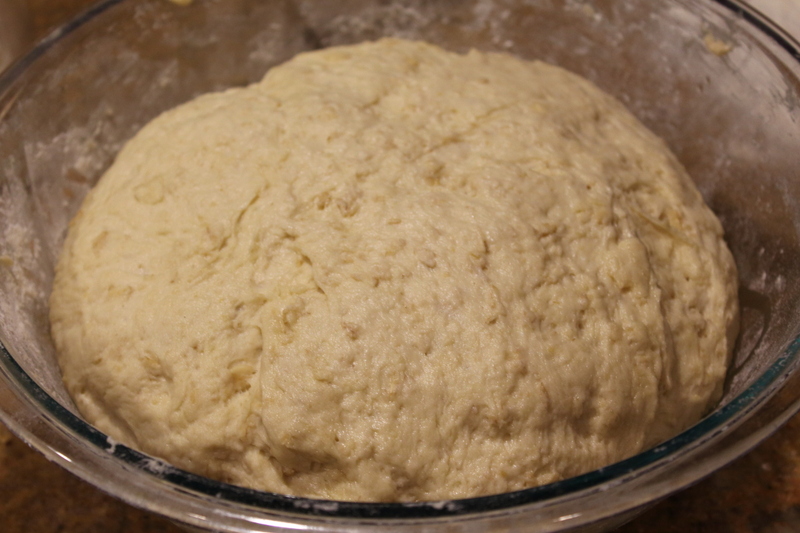 Turn out onto a clean floured surface and knead by hand until the dough is springy and smooth, about 10 minutes. Let this rise in a lightly oiled bowl in a warm spot in the kitchen with a damp tea towel to cover it until it has doubled in bulk. This might take about an hour and a half, to 2 hours. 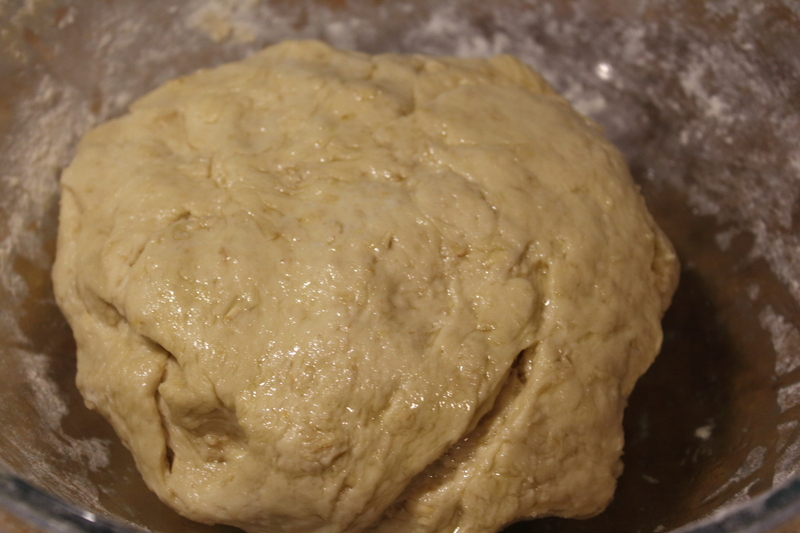 When your dough has doubled in size, knock the dough down (then take picture, not the other way around, cause then the before and after photos look exactly the same… like the two above…), and turn it out onto a clean floured surface, and knead out all the stray bubbles. 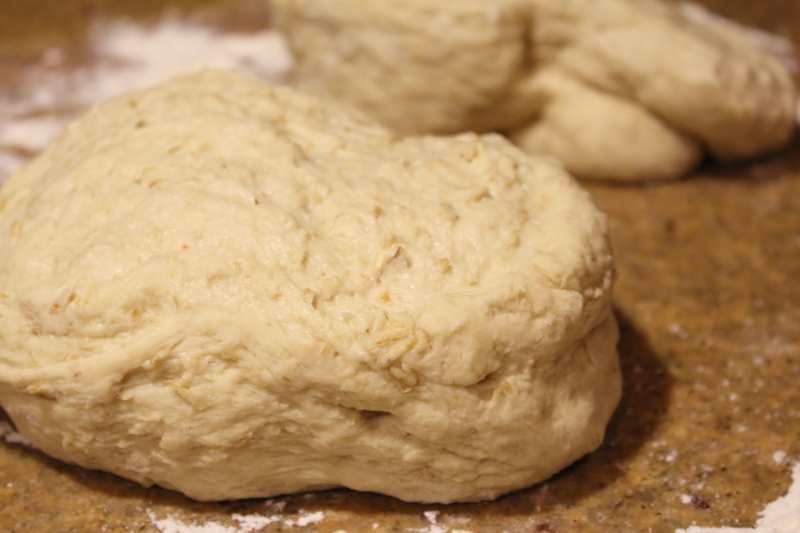 Cut the dough into two pieces (these will be your loaves, so if you are like me and don’t have two of the same sized loaf pans, cut them accordingly…) Let the two pieces rest on the counter for about 10 minutes. 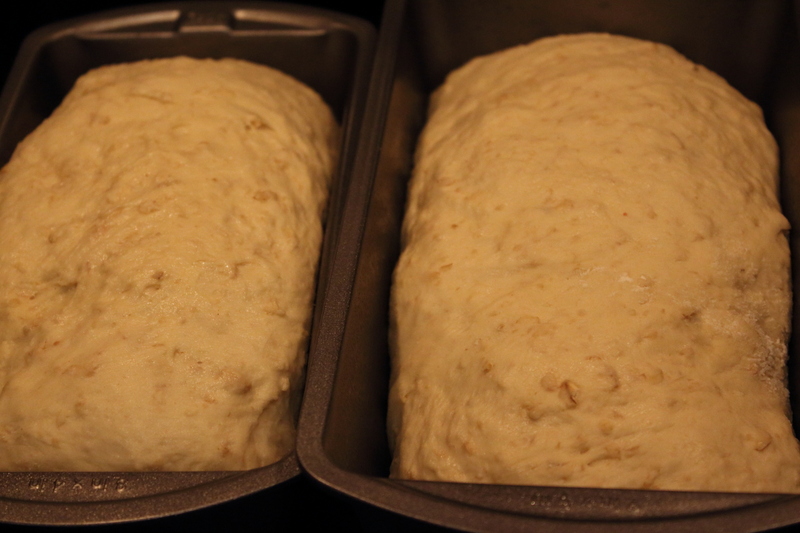 Shape into two loaves and place in your two greased loaf pans. Let the loaves rise in a warm part of your kitchen, again covered in the damp tea towel until they have raised above the lip of pan – about 40 minutes. Preheat your oven to 350F and bake for about 35 minutes, moving the racking into the middle of your oven. Cool on wire racks, and leave at the very least 10 minutes for it to be able to slice without falling apart. 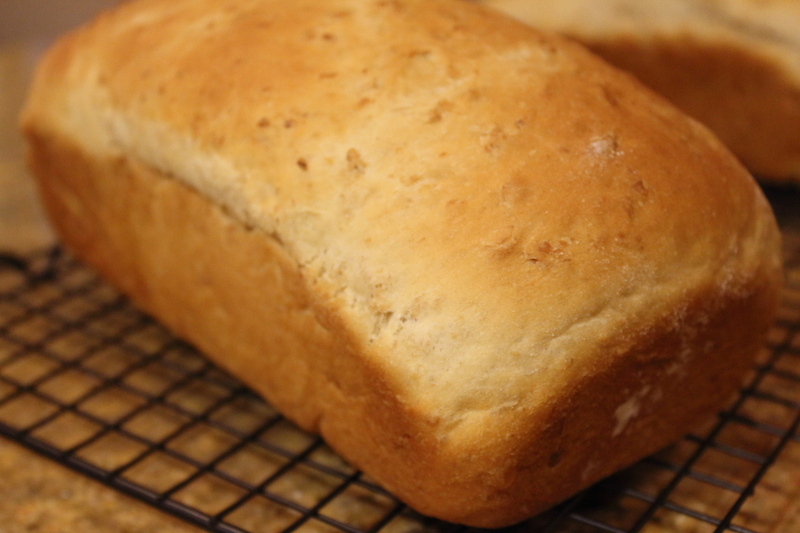 This makes an excellent sandwich bread (in fact, I think we’ll be sticking with this recipe until further notice) and it’s excellent toasting bread too! Beautiful bread, would love the recipe. Sorry – got a stomach bug that took me out before I could proof any of the drafts I had going on this weekend. Finally edited it. It’s a great bread! So soft, and sooo good for sandwiches!